Good for Sarah, but I still can’t help but think that some of Nine’s recent poaching of talent from the public broadcasters is the company attempting to paint the post-Fairfax merger organisation in a good journalistic light. Joining award-winning reporters Charles Wooley, Liz Hayes, Liam Bartlett, Tara Brown and Allison Langdon in 2019 is acclaimed journalist Sarah Abo . For the first time in years, I actually like all of these journalists. Sarah will be a great addition. Replacing Tom Steinfort. They also never replaced Allison Langdon when she scaled back to allow her to work on Weekend Today. 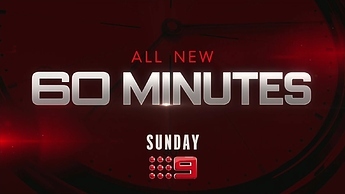 60 Minutes needed a new reporter to fill the space of the casuals (Peter Stefanovic and Allison Langdon) and the permanent (Ross Coultart and Tom Steinfort). You’d have to say that Karl’s days are numbered. 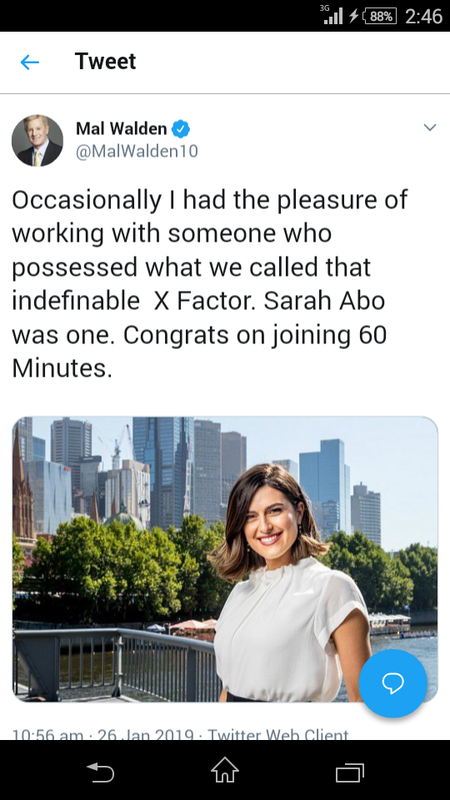 Given he’s on contract, one would have assumed he’d fill some of his time at 60 Minutes but they’ve brought someone new in from outside the network. It has been reported that Kirsty Thompson (EP) doesn’t like the Stefanovics and that Peter never pitched decent reports. During her 5 years with Ten she certainly impressed Mal Walden. This should’ve mentioned it earlier but yeah, I agree that Karl Stefanovic’s days at Nine are probably numbered. I’m personally expecting a “Karl Stefanovic Leaves Nine” announcement to be quietly made a day after the final episode in the next (probably last) season of This Time Next Year goes to air. Although it’s been suggested in the past that Karl Stefanovic would be a good main presenter of A Current Affair after Tracy Grimshaw retires, surely Leila McKinnon most deserves that position? Because if I’m not mistaken, McKinnon has only been the main fill-in presenter for ACA every year (including all Summers since 2006-07) since Grimshaw took over! I don’t think many of Karl’s 60 Minutes reports were that impressive either. Even arguably his best work for the stopwatch, those reports on transgender children have been tainted by the transphobic slur he made (and to be fair, apologised for) on Today in mid-2016 just weeks before one of said reports went to air. Schadenfreude is a German word that describes pleasure derived from someone else’s misfortune. It might be a brutal emotion, but to start the 41st season of 60 MINUTES Liam Bartlett guarantees everyone in Australia will enjoy watching the misery of the men exposed in his story. That’s because they’re a bunch of criminal phone scammers who’ve been tricking ordinary Aussies out of millions of dollars of their hard-earned savings. But after an exhaustive investigation these offenders are busted red-handed, arrested and imprisoned. It’s an important victory for the good guys. When it opened in August last year the Opal Tower in Sydney was spruiked as a marvel of construction; a state-of-the-art residential skyscraper. Owners who spent millions on the 392 apartments were thrilled with their purchases. But on Christmas Eve everything changed. Dangerous cracks appeared in the four-month-old building. Panicked residents were evacuated as headlines screamed it might topple at any moment. Then the blame game started. In a special report for 60 MINUTES , Nine’s finance editor, Ross Greenwood, is given unprecedented access to the Opal Tower to find out what went wrong. Alarmingly, what he discovers has implications for all property owners in Australia. Like all pro tennis players, Bernard Tomic uses different shots on court to beat opponents. Unfortunately for him, at the Australian Open a few weeks ago he lost in the first round. Undaunted, Tomic used his post-match media conference to lob verbal missiles aimed at smashing Lleyton Hewitt. It was an extraordinary outburst against one of our best-ever players, the current Davis Cup captain. But as everyone knows, Hewitt’s no quitter. He deftly returned Tomic’s serve with added spin. Deuce, you might say, except as Allison Langdon reports, this battle has left Tennis Australia with an almighty headache. It’s no secret the Church of Scientology is divisive and controversial, but as Tara Brown discovers in an extraordinary 60 MINUTES investigation, the measures Scientologists take to avoid external scrutiny is extreme. Their church is led by the all-powerful yet mysterious David Miscavige, who refuses to address ongoing allegations that his organisation is involved in disturbing practices like splitting up families, physical and verbal abuse, even holding devotees prisoner. His reluctance might be because his own wife, Shelly, has not been seen in public for 13 years. But when Brown started asking questions about Shelly Miscavige’s whereabouts, and Scientology’s dirty little secret, she copped a barrage of ugly and unwarranted abuse. Could Australia’s obsession with so-called “wellness” actually be causing us harm? It’s estimated that one-third of the population regularly take vitamins, supplements or herbal medicines. The complementary medicines industry is worth more than $5 billion, and it thrives on our belief that these products are natural and healthy. But there are scientists and doctors growing increasingly concerned about the alternative products we’re taking. They say they’re not only a waste of money, but in some cases might also be deadly. When you match up a famous funny-man with an overachieving businesswoman who is also a best-selling author you get the fabulous chaos that is the life of Hamish Blake and his wife Zoë Foster Blake. You also get two adorable children. But for all their career success the Blakes – like the Beatles – reckon all they need is love. In an exclusive interview on 60 MINUTES the delightful couple tell Allison Langdon why. At first sight, the man in this story appears as a knight in shining armour. He offers hope to people desperate to have babies. But as Liz Hayes reports in an astonishing 60 MINUTES investigation, it’s not long before he starts to lose his gloss. A clue is the name he goes by. “Joe Donor” travels the world impregnating any woman who’ll have him, any way they’ll have him. He proudly boasts he’s already fathered more than 100 children. Australia is his latest stopover, but instead of welcoming his helping hand, fertility experts here warn that Mr Donor is a dangerous public health risk with questionable motives. What happens when you put a monster who eats cookies, an oversized bird, a garbage-loving grouch and a green frog together in a room? You end up with the finest children’s television program in history. Sesame Street has been entertaining millions of preschoolers for 50 years. Its success is even more remarkable because while the kids are having fun those watching fast-talking, cheeky Muppets, they’re also learning. But not just their ABCs and 1-2-3s. Sesame Street has never been afraid to tackle controversial issues like race, divorce and death. And the good news is, it’s not about to stop. Of the 300,000 Australians going to school for the very first time this year, the leap into learning for one young man is greater than for all the others. Five-year-old Floyd Morley was born with a rare form of dwarfism. Physically it means he has no choice but to look up to the other kids. But in every other way, this spirited little legend is already proving to be more than their equal. 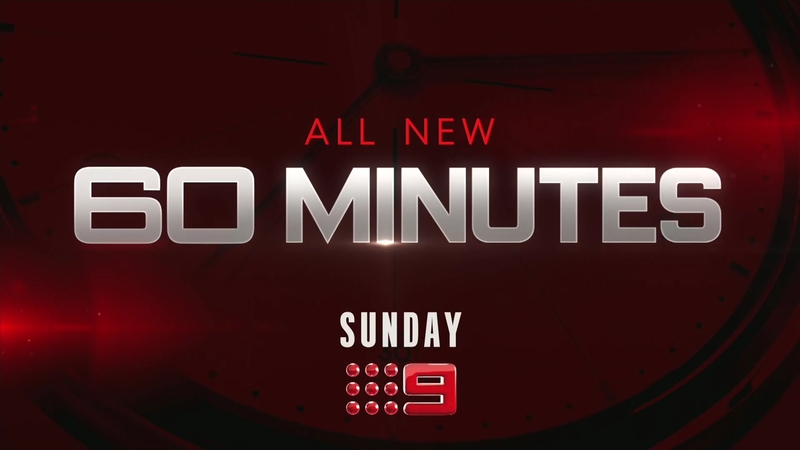 60 Minutes Australia updated their cover photo. Can you tell me how to get, how to get to Sesame Street? The gang’s all here! 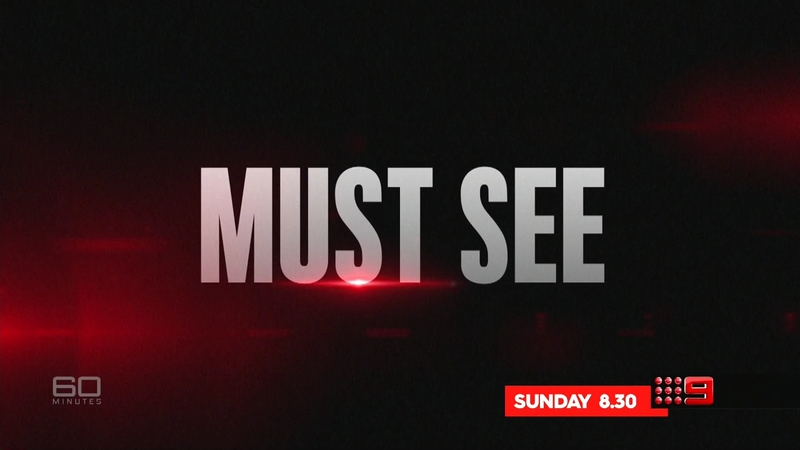 8.30 Sunday on #60Mins. It’s almost a decade since Michael Jackson died, but the man often considered the greatest entertainer of all time continues to make news. The headlines these days though are less about him being the “King of Pop” and more about him being king of the kids, amid persistent claims the eccentric megastar was a child abuser. His latest accuser is Adrian McManus who knew Jackson’s secret life too well, as for four years she cleaned up after him at his home. Extraordinary details about Jackson’s obsession with young boys; how he went about grooming them; and what he did to them. The discarded items she found in Jackson’s bedroom and jacuzzi, and his attempts to cover up his inappropriate relationships with the boys. How Jackson routinely distracted the boys’ parents with money and lavish gifts. Attempts by Jackson to buy her silence, and the death threats that stopped her speaking out. 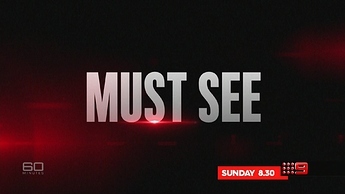 MH370 special on Nine this Sunday. More clues on the missing plane nearly 5 years on. Also, Sarah Abo’s debut story on 60. Exclusive access to the Boeing 777 wreckage the world has never seen. So this is wreckage that wasn’t reported in the news when it was found? Edit: I just read a Nine News report about it. Apparently the world has already seen it, it’s the wreckage we already know about and have seen images of before. For her first assignment on 60 MINUTES, Sarah Abo investigates new developments in the mystery of Malaysia Airlines flight MH370. It’s now five years since it disappeared, but there have been no definitive answers about where the airliner is or what happened to it. The failure of the search has had an unbearable impact on the family and friends of the 239 people on board, who are presumed dead. But Danica Weeks, whose husband Paul was one of the passengers, refuses to give up. With Sarah Abo’s assistance, she has achieved what many think is impossible and arranged a face-to-face meeting with the Malaysian Prime Minister, Dr Mahathir bin Mohamad – the first time he has met with a relative of a passenger on MH370. The Perth mother-of-two has pleaded with him to continue searching for the plane. And as our story reveals, Dr Mahathir has been clearly touched by Danica Weeks’ determination, ordering his Minister of Transport to give 60 MINUTES world-first access to the secret vault where recovered parts of the plane’s wreckage are stored. It’s a degree of investigative transparency from Malaysia that is unheard of, and signals a major step forward. 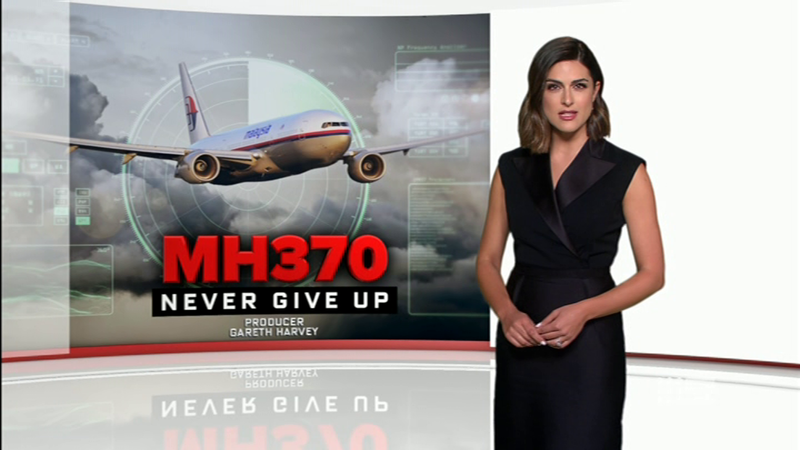 Danica says it is vital that the world finds out what happened to MH370. “This is not just about the 239 people on the Boeing 777, this is about eight million people who get on a flight every day,” she says. In all his years interviewing so-called “funny” people, Charles Wooley has often been faced with the sad truth that many of them aren’t that humorous in real life. But not so Ricky Gervais. As Wooley discovered, along with the laughs this dangerously sharp comedian has the knack of being able to make people wince in agony or cringe with embarrassment at some of his observations. Ricky’s rule is there is no topic that can’t be joked about. It has landed him in plenty of trouble, but as he says, he couldn’t give a f***. 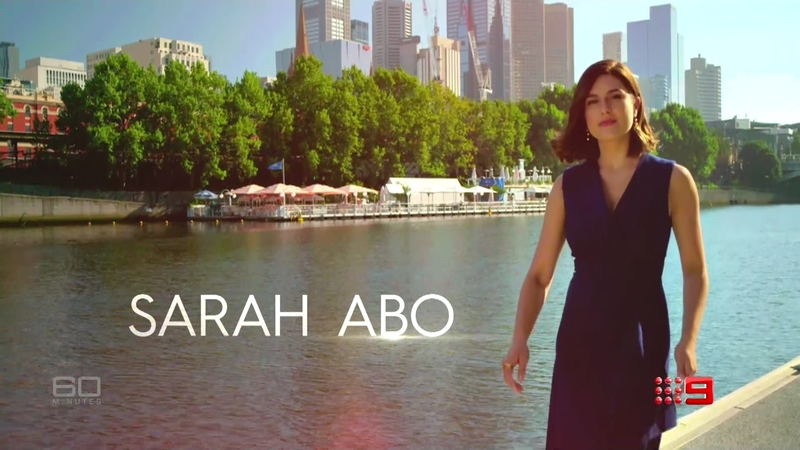 Sarah Abo opening 60 Minutes for the first time. Meaghan Vass has lived a wretched existence. For half of her 25 years her home has been the streets, where she mixed with the wrong crowd and became addicted to heavy drugs. But as down and out as she is, Meaghan could be the most important witness in Tasmania’s most controversial murder case. Nine years ago Sue Neill-Fraser was jailed for the murder of her partner Bob Chappell on their yacht, Four Winds . She has always denied she did it, pleading that she wasn’t even on the boat when he was killed. And that’s where Meaghan Vass comes in. In a 60 MINUTES special investigation she speaks publicly for the first time and admits to being on board the Four Winds at the time of the murder . She tells Liam Bartlett she saw everything, and reveals who killed Bob Chappell and why. Sue Neill-Fraser’s freedom rests on Meaghan Vass’s evidence. But is she believable? They’re two of the biggest personalities in Australian politics – and two of the most controversial and polarising. Now Pauline Hanson and Mark Latham are a couple, Mr and Mrs One Nation. By becoming Pauline’s proxy in New South Wales, Latham is tipped to win an Upper House seat at the state election in a fortnight. In return, Hanson gets to harness the former Labor Opposition Leader’s undeniable campaigning skills, which will be especially useful in the run-up to this year’s federal election. But as Liz Hayes asks, will this political version of Married at First Sight last past the honeymoon? If Undercurrent can’t be shown in Tasmania due to Sue Neill-Fraser’s court appeal, what about 60 Minutes’ interview with Meaghan Vass?